It's not easy choosing entertainment for an event. One thing to keep in mind is that not all magicians are the same. If you book entertainment based on price alone you will be disappointed. You want to feel comfortable when inviting an entertainer to your event or party. That's why we offer a 100% satisfaction guarantee. 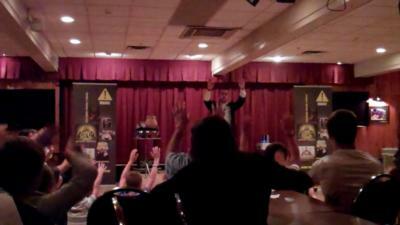 If your guest's dont laugh, clap, and have fun, the show is FREE! Please contact us to reserve a date and time. Thanks so much for stopping by! 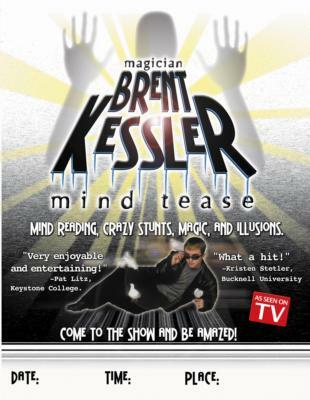 Please note Magician Brent Kessler will also travel to Nescopeck, Beach Haven, Mifflinville, Nuremberg, Orangeville, Rock Glen, Zion Grove, Lightstreet, Shickshinny, Stillwater, Sybertsville, Weston, Cambra, Bloomsburg, Conyngham, Huntington Mills, Sugarloaf, Glen Lyon, Oneida, St Johns, Benton, Catawissa, Sheppton, Harleigh, Milnesville, Numidia, Ringtown, Wapwallopen, Drums, Ebervale.